There was an announcement today that will bring cheer to bloggers who have used and cherished Windows Live Writer. The team at Microsoft has been allowed to take this marvelous blogging tool to the open source community where its development and support can live on. Long live Open Live Writer! For the details go to Scott Hanselman’s blog post. The website for the new tool is http://openlivewriter.org/. Download the initial version 0.5. It looks, feels, and works just like Windows Live Writer. There are some things that had to be left out. But the team will catch up and keep this the finest blogging tool bar none! One more thing: This post was made entirely using the new Open Live Writer. It installed cleanly, downloaded the theme details from my blog, and worked smoothly. Even allowed me to put in the html code for the “boilerplate” on the bottom. Great work OLW team! Continue on!! This is a revisit of this topic with updates and a look at how Live Writer works with the current versions of WordPress and Blogger. Many new features have been implemented in the latest WordPress themes, and Blogger templates. Much is not supported by Live Writer since it has not been updated in the last three years, yet it still offers the best and easiest means of preparing blog posts. With higher resolution monitors and especially smart phones, tablets, and other devices, new questions arise on how to best deal with images. Most of the images that you wish to show in a blog post most likely start out on your computer. Live Writer allows you to scale the image so it will fit and be positioned the way you like. Three standard sizes are offered and those sizes can be set by you. The sizes are Small, Medium, and Large. There is actually a fourth size: Original. For this blog my sizes are set so that images fit nicely into the blog column. Here the Large size is 640 pixels wide to take up the width of the column. The Medium size is 320 px so that two will fit side by side. The Small size is set to 200 px, allowing three across. 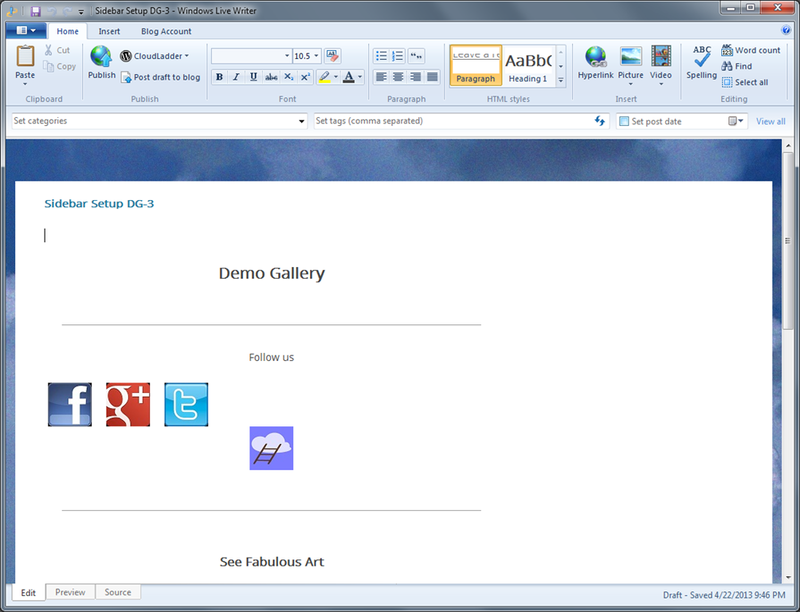 Live Writer will prepare scaled images with the specified border and any additional features. The illustration above uses a white border and a watermark. Both of these features are done in Live Writer. The image that appears in the blog post is called a “thumbnail”, even though it might be rather large. Jumping ahead of the story a little: Click on the image above – the “source” image is actually smaller than the thumbnail her. You do not need to prepare images to the desired size, Live Writer can do the scaling. However, there is something else to consider. An image in the post can link to something else. By default that is to the same picture, normally a larger version. On the Picture Tools tab (reached by clicking the image in Live Writer) you can set where the link goes to. If you choose Link to: Source picture, when the visitor clicks the image the browser will show the “source” version. Most browser show it on a blank, white page, positioned in the upper left. That is not the prettiest way of doing it, but might be what you like. 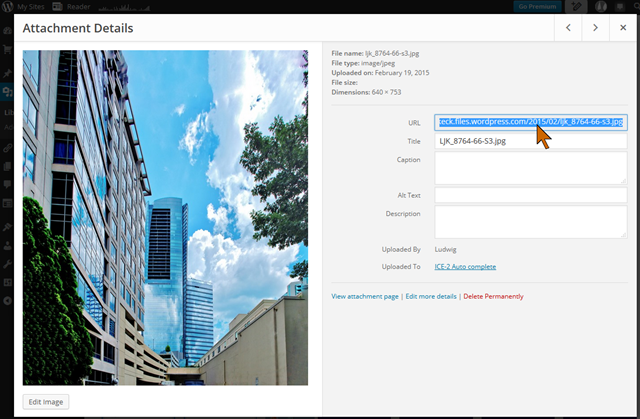 You can specify the size of this source picture that will be shown on the blank page with the Link options setting. Clicking that option brings up a little dialog as shown here. There are again four size options, the Small, Medium, Large, and Original sizes. The standard sizes are the same as the sizes for the thumbnails. The Original size, however, will be the actual size that the image is on your computer. Most modern digital cameras produce images way bigger than will fit conveniently into a browser window, even on the newer monitors or devices with their high resolution. That brings us back to the “however” above. You should scale your picture to a size that is appropriate. 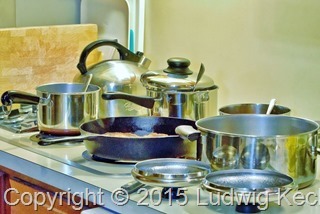 The image displayed by clicking the image link should show the picture better and larger, unlike the pots above. But you don’t want the source picture to overwhelm. For the past few years I have used “originals” that are 1024 px on the larger side. Those used to fill the browser nicely, but with the progress to higher resolution displays even in phones and small handheld devices, I have been using 2000 px lately. If you don’t link to another version of the image, of course, you need not worry about the original size as it will not be shown or uploaded. Where to the images go? 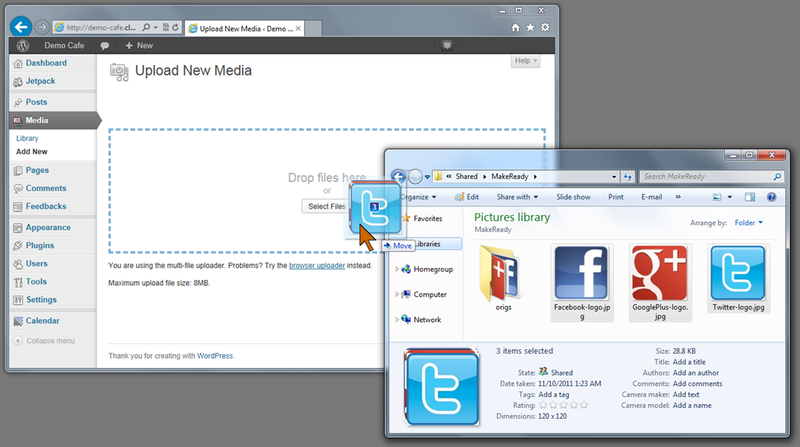 Live Writer uploads the prepared “thumbnail” image and the “source” image, if used, to the blogging service. 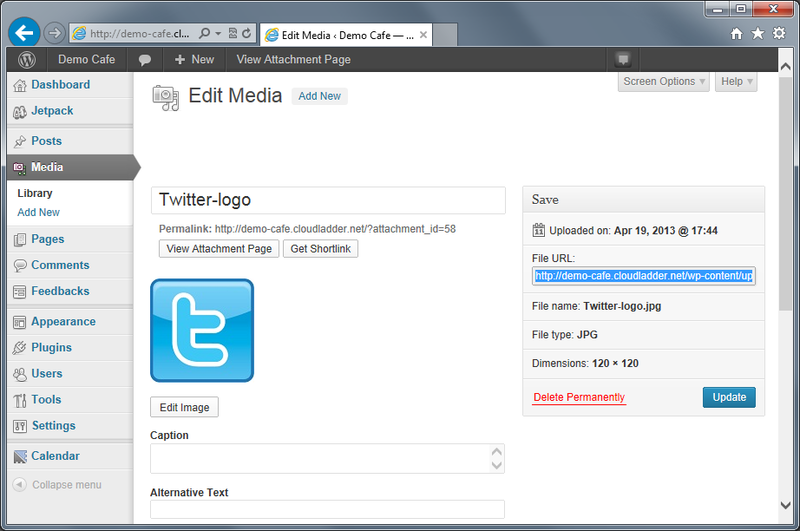 If you are using WordPress both images go into your Media library. This is a “flat” file, that is, it is not further divided, just a large shoe box full of pictures. If you are on Blogger, the images are uploaded to you Google album “Windows Live Writer”. NOTE: Blogger imposes a limit on the number of images uploaded for one post. You might run into that limit if you have a large number of photos. I did with a story on a car show last year, so I just split the post into two ( British Car Fayre 1 and British Car Fayre 2 ). Google storage rules are such that images smaller than about 2024 px are not charged to the space used. The second insert option in Live Writer is “From the web…”. This allows a wide range of sources, but assuming that you want images of your own that you have online, the range shrinks quite a bit. When you click From the web… a small dialog pops up. You need the web address, URL, of the image, not the page it might be on. NOTE: Although it is easy to get an URL of most any image on the Internet, you can’t just grab it and insert it into your blog. Plagiarism applies to images as it does to text. Don’t steal, don’t borrow, don’t “quote”, unless you have permission from the owner of the image. Stick to your own. The easiest web place to store your images is, of course, your blogging service. Live Writer can upload pictures to your blogging service, but sometimes it might be easier to upload them yourself directly and then retrieve the URLs. In your WordPress account Dashboard you have your Media Library. 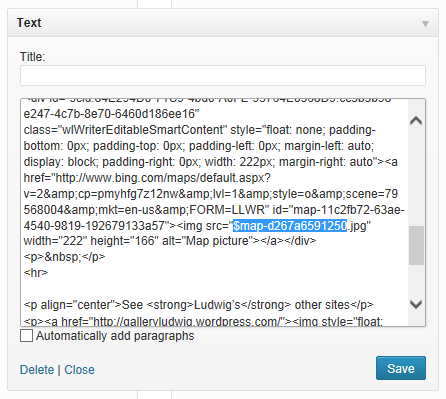 WordPress has made many improvements in this area. Uploading is easy and uses a drag-and-drop method. You can easily get the web address for images already in your WordPress Media Library, just go to the Media library, click on the image you want. The image URL is in one of the property boxes. You can also right-click the image and click Copy Image Location. If you have a Blogger blog, you have a Google account and, as noted above, your images uploaded by Live Writer are in the Windows Live Writer album. Don’t add images manually to that album. The most recent additions go to the end of the normal listing and that may mean a lot of scrolling to find what you want. You can use any other album for storing photos, of course, and you can get the URL for any of your Google photos and insert them into a post. Just be sure that your album is made public so your readers will be able to see the image. To get the image URL from your Google Photos, right-click the image, then click Copy image URL, it will be loaded into your clipboard. Since this method does not involve the upload limit for a blog post, you can insert any number of images into your post. Flicker is one of the oldest photo sharing services and has some very nice features. Unfortunately, being friendly to blogging is not one of them, they don’t want to provide the URLs to your own images. So don’t plan on sourcing photos from Flickr. You can link to your images and albums there, they show nicely and you can provide slide shows. But for inserting an image in the post, forget Flickr. Microsoft OneDrive, the former SkyDrive, is meant to be your file cabinet in the cloud. It is organized in folders and subfolders, so managing your images is really easy – just like on your desktop computer. Uploading is drag-and-drop. Getting to the URL is a matter of clicking on the image and then clicking View original. 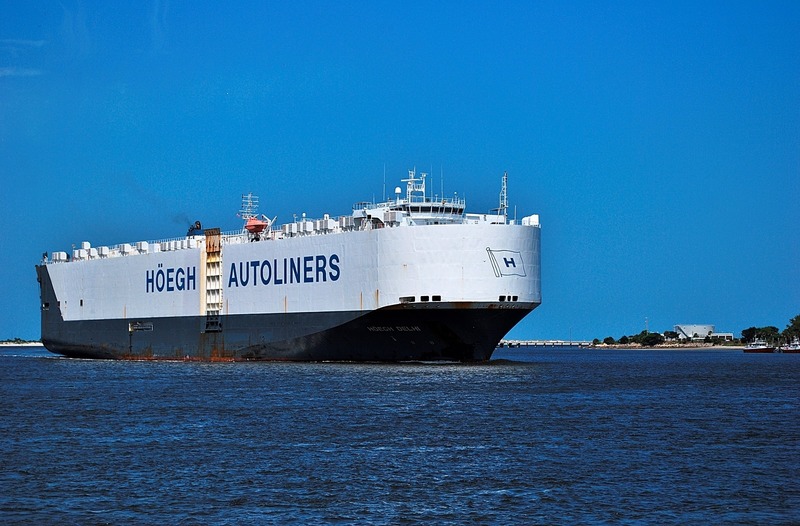 The image shows full size on a blank page and its URL is in the browser address field. Microsoft does a very good job of managing access to stuff in your OneDrive, so make sure that the folder is public. 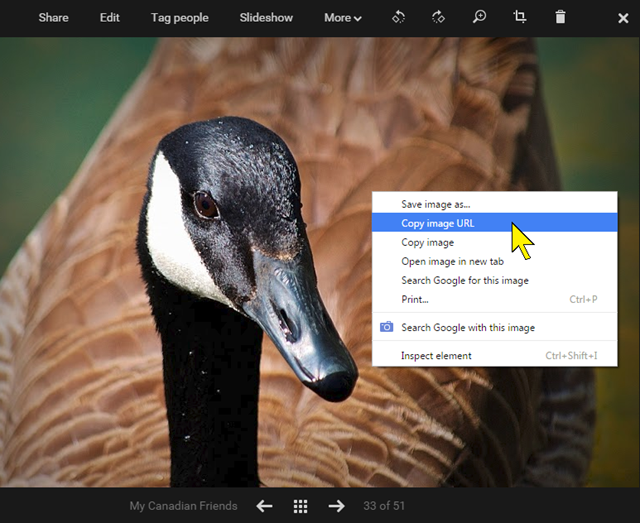 When you use pictures from the web, there are some concerns that you don’t need to address when using pictures from your computer option in Live Writer. An image on the web is stored in the size that was uploaded. As I mentioned above, for me that is nowadays 2000 px on the large side. When you use the Insert – From the web… procedure, Live Writer will insert the picture in whatever size it is. You can use the Size controls to get it to the size you like in the post. There is another “however” here. When someone looks at you blog post, the browser has to download the image and rescale it for display. That process is not as fast as downloading an image that is already the correct size. You blog post might not load as fast as you like and not as fast as it could if the images were the correct size already. If you use just a few images, that may not make a noticeable difference. Live Writer has a delightful feature that it calls “online album”. A group of small thumbnails can be arrayed in different layouts as a representation of an entire album. Live Writer then uploads the entire album, or alternatively using an existing online album. Links are provided for seeing the pictures in the album. This feature goes back to the days even before SkyDrive. Live Writer used the Microsoft online storage service since its infancy and still works like a charm with OneDrive. However, it only works with OneDrive! There are some limitations that date back in time that have not been updated. Take a look at such an “album”. 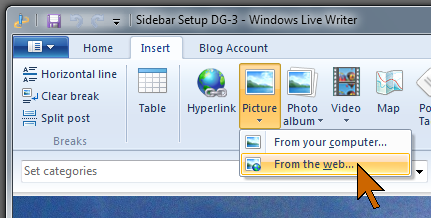 The dialog that comes up when Create online album… is selected allows you to drag pictures form your anywhere on your computer and combine them as one album. The album is inserted when you click Insert and then you have a large array of options as to layout and other features. When you publish the post with an album, the images in the album are uploaded to your OneDrive, into an folder in the root of the OneDrive called by the album name you specified. Other images that you inserted “from your computer” will go to your blogging service. You can move that “album” folder in your OneDrive to another location. All the links will be correctly preserved. So these are the methods for inserting images into a blog post using Live Writer. I have pointed out some of the items that you must be careful with. In spite of the fact that Live Writer has not been updated in years, it still provides features and convenience unmatched by any other tool. You are currently browsing the archives for the Live Writer category.